India is a land of paradoxes. On the one hand, we have sixty people losing sight in an eye camp and thirteen women losing life in a sterilization camp in the last two months. On the other hand, we have Aravind Eye Care system – overlooking 1000+ sight-restoring surgeries every day with world class quality standards, serving poor and rich with compassion, and in a financially self-sustainable way. The canvass that Aravind covers is so vast that any narrative that tries to present Aravind story will be incomplete. But some are less incomplete than others. 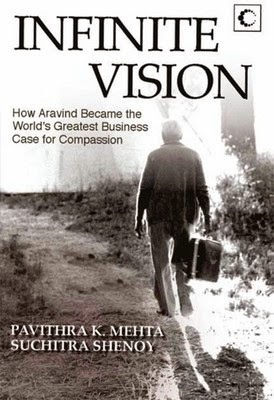 “Infinite Vision: How Aravind became the wold’s greatest business case for compassion” by Pavithra Mehta and Suchitra Shenoy is perhaps the least incomplete and lucidly written tale of Aravind, its founder Dr. Venkataswamy and many others who shaped the infinite vision. Here are two things that I found most interesting in the book. 1. Questions behind the answers: If Aravind is the extraordinary answer, what were Dr. V’s questions? This is the core riddle the book aims to address. Through the personal journal Dr. V kept over the decades, the authors get a peek into the questions. “How to organize and build more hospitals like McDonald’s”. Reads a journal entry from 1980s. Notice that there is no question mark (?) at the end of the sentence, a peculiar characteristic of Dr. V’s writing. It is as though each question contains a seed of the answer. 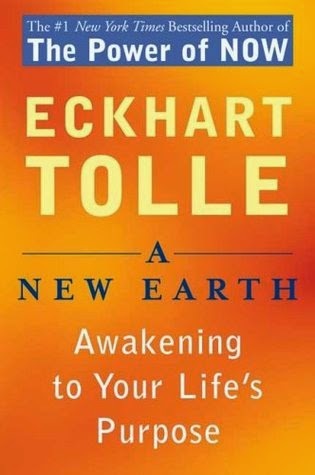 Another entry reads - “How was Buddha able to organize in those days a religion that millions follow. Who were the leaders. How were they shaped.” At Frankfort airport Dr. V watched a plane land and the process that followed and said to his friend, “This is how we should run our operating theatre.” In 1978, Dr. V visited 40,000 square-foot training facility at University of Michigan School of Medicine. After seeing the training centre, he mentioned to Dr. Suzanne Gilbert, “One day, I would like to have a centre like this one.” She was baffled by this remark of the Indian doctor who at that time ran an 11-bed eye clinic. You feel drawn to a patient because he’s from your village, known to you, and then you try to do your best for him. But at times, a patient is aggressive and demands some privileges. He says, “Could you see me first?” This upsets you, and with that feeling of annoyance you treat him. You are not able to disassociate him from his mental or emotional aggressiveness. … To do this [treat him well] you must bring into your own being silence, calmness, and quietude. It needs enormous practice to realize the experience of silence in you. “This man’s spirituality wasn’t incidental to the story. 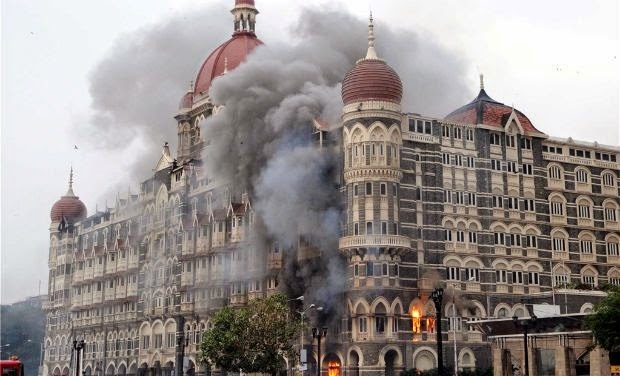 It was what everything else hinged on,” says Prof. V. Kasturi Rangan of Harvard Business School who wrote the case on Aravind that became popular world over. Personally, “Can spirituality be integrated in organizations?” is a question I have carried with me for some time now. The book gives a ray of hope. Kudos to Pavithra and Suchitra for bringing out such a wonderful story. Hope it reaches out to more people. I would like to thank Mr. Thulsi for giving a copy of the book to me. 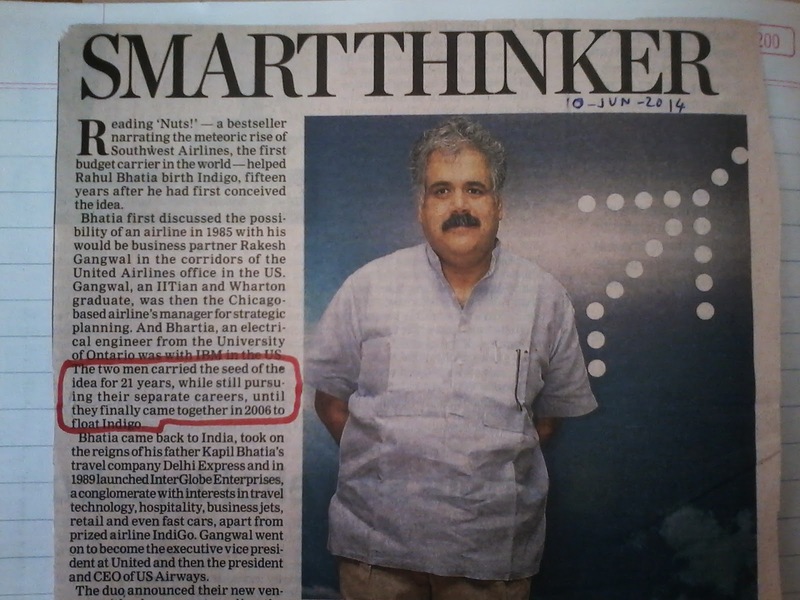 He is playing a key role at Aravind in shaping the “Infinite vision” and inspiring many. Over the past five years, I have been fortunate to have witnessed several dozen innovation programs. 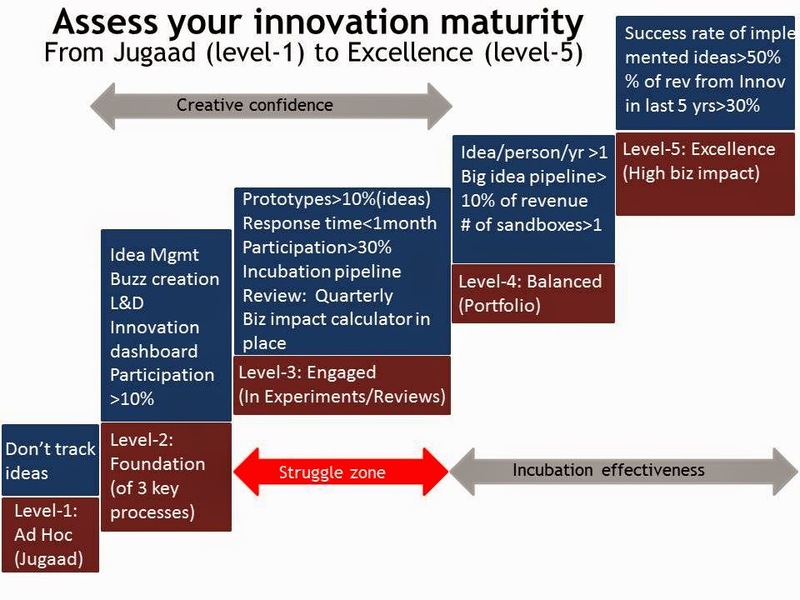 I have seen the journey of some innovation programs over 3 to 5 years. In this article, I would like to present 4 reasons why I believe innovation programs in India flounder. Before I present the reasons, let me share the point in the journey where the programs struggle. Here is a simple and useful 5-level maturity framework that I have used to map various programs. Most of the programs struggle around level-3. The parameters where the difficulty starts are typically: participation (difficult to sustain at 30%), review process (maintain the rigor and rhythm), prototyping (ideas don’t move) etc. The four reasons why the programs struggle are: (1) Poor program management (2) Lack of emphasis on experimentation (3) Lack of rigor and rhythm in innovation reviews and (4) No champions. Let’s look at each one briefly. 1. Poor program management: Any serious program needs a person or at least a function that holds the roadmap. 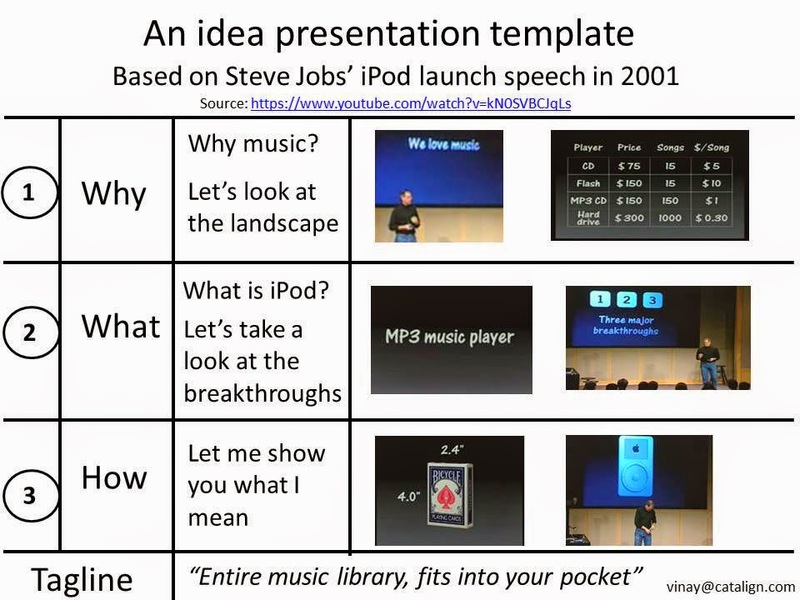 Innovation program is not a one quarter project. It runs over multiple years. You need people who are constantly watching what is working and what is not working, trying to remove the hurdles which are holding things back, deciding quarterly targets, publishing a dashboard, holding events, running campaigns etc. If you tell someone that management of innovation program is 5% of his KRA, chances are high things will not move. Most innovation programs need a full-time or at least a half-time program manager. 2. Lack of emphasis on experimentation: Ideas by themselves are of little use. You need people to build prototypes and validate some of the assumptions behind the ideas. Many organizations don’t acknowledge experimentation as a legitimate activity. Hence ideas don’t move forward. Some organizations (e.g. Ericsson) offer sponsorship in the form an experiment week to good ideas. In some places, it is considered acceptable to spend part of your work time (say 15-20%) in experimentation (e.g. Google, 3M). Some places organize events such as hackathon or prototyping workshops where ideas take shape. 3. Lack of rigor and rhythm in innovation review: Small ideas can get implemented at team level. However, big ideas need attention, review and investment from business leaders. Moreover, funded ideas need to be reviewed regularly to see if they are stuck somewhere or need to be dropped etc. Many times innovation reviews are not given a priority. They get postponed due to priority scheduling of other meetings. Many times the reviews are too lenient. No criterion is used to kill unviable projects. Sooner or later they run out of oxygen. That creates a lot of bitterness. It is much better to systematically kill non-working ideas so that more fresh ideas can be funded. Car breakdown? Internet not working? Boss or spouse upset? Garbage everywhere? Long commute times? Corruption? Poverty? Everyday, we experience problems at different levels and of varied complexity. Some, like car problem, appear solvable, some like, commute time appear more difficult to solve and some others like corruption / poverty appear hopeless. 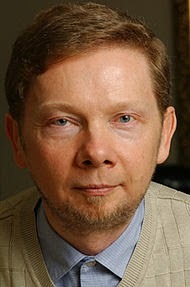 Nevertheless, problem solving has fascinated mankind for centuries. From Francis Bacon who championed inductive methods to Buddha who championed meditative methods various people have proposed different approaches to solve problems. 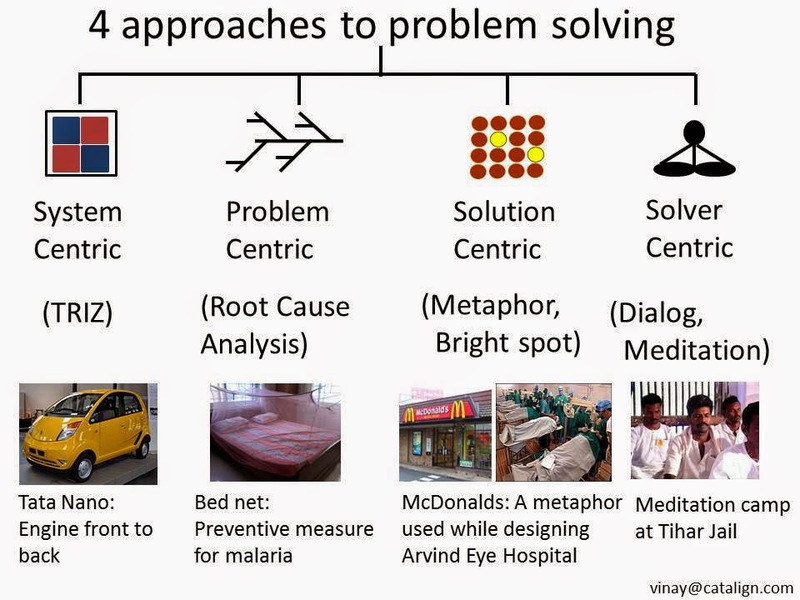 Here is an attempt to classify these approaches into 4 categories – system centric, problem centric, solution centric and solver centric approach. I will argue at the end that as human dimension associated with the situation gets more complex, we need to use more of solution and solver centric approaches. To simplify things, I have considered the process of going from problem definition to hypothesis generation (or solution creation). And hence, I have kept the steps of problem definition and the hypothesis validation (experimentation) out of scope. Most of the times, problem solving is an iterative process where problem (re-) definition, solution creation and experimentation get repeated until one is satisfied. Thomas Edison epitomized this method by running tens of thousands of experiments to get his light bulb right. System centric: Tata Nano is the result of questioning the position, material and various properties of car’s components. For example, engine’s position has moved back from front. Plastic was given a serious consideration as a body material before abandoning it because it didn’t fit in the budget. In the early stages of conceptualization the role of doors was questioned. In the systemic centric approach, a system is looked upon as a combination of various sub-systems. And then the arrangement of sub-systems (and its sub-systems) gets questioned and changed to meet certain constraints like cost, performance etc. TRIZ methodology and its variants like Systematic Inventive Thinking (SIT) are examples of system centric approaches. For further study, SIT’s five thinking tools (subtraction, multiplication, division, task unification and attribute dependency) is a good place to start. Problem centric: Malaria has been one of the deadliest diseases for mankind. It may have contributed to the decline of Roman Empire. However, once it was known that it is spread through mosquitoes, its arrest became easier. Bed nets and insect repellents are low cost and yet effective measures to reduce the risk of malaria. Root Cause Analysis helps us find the root cause of the problem and then address it. Techniques like fishbone or Ishikawa diagrams and asking five-why’s have been developed to help analyse root causes. This site shows how root cause analysis is applied to various famous failures in various industries like aviation, healthcare, business, environmental, legal etc. For example, this article presents the application of repeated “Why” questioning to arrive at root cause(s) of devastation due to Hurricane Katrina. Solution centric: By the time Gyanesh Pandey realized that Jatropha based biodiesels based approach won’t be a viable approach, he had already spent significant portion of his pension fund and five years in iterative experimentation. He was struggling to hold on to his dream of electrifying rural India and had run out of ideas. In a chance meeting, he came across a gasifier based electrification technology being used in forty villages in Bihar. He spent a month-and-a-half at one of the plant studying it and improved it further. This led to Husk Power Systems, a venture Gyanesh co-founded that sells gasifier based power generators that supply electricity several off-grid villages in North East India. Note that Gyanesh’s breakthrough happened when he looked at a solution rather than the root cause of the problem. Hence this approach is called solution centric approach. As the social system becomes large and complex (like rural India), it becomes more difficult to do root-cause analysis. Nassim Taleb calls such systems high causal density systems. The number of variables which are affecting the system is very high – perhaps thousands, perhaps millions. Hence, to solve a problem, it makes more sense to start with “what is already working in the same setting” (a solution). These are referred to as “bright spots”. The idea is to focus on scalable bright spots. The psychotherapy method called Solution Focused Brief Therapy (SFBT) focuses on bright spots as a starting point. Similarly, an approach called Positive Deviance advocates solving social problems by scaling bright spots. Chip & Dan Heath advocate “Follow bright spot” approach in their book “Switch: How to change things when change is hard”. Metaphor (or analogy) is another powerful solution centric method of solving problems. A metaphor tries to create an equivalence between two seemingly disconnected concepts by asking, “Why can’t this be more like that?” For example, McDonalds and an eye hospital (Aravind Eye Care), moon and apple (Newton & gravity), water in the tub and water in the stream (Hellen Keller’s first breakthrough concept) etc. 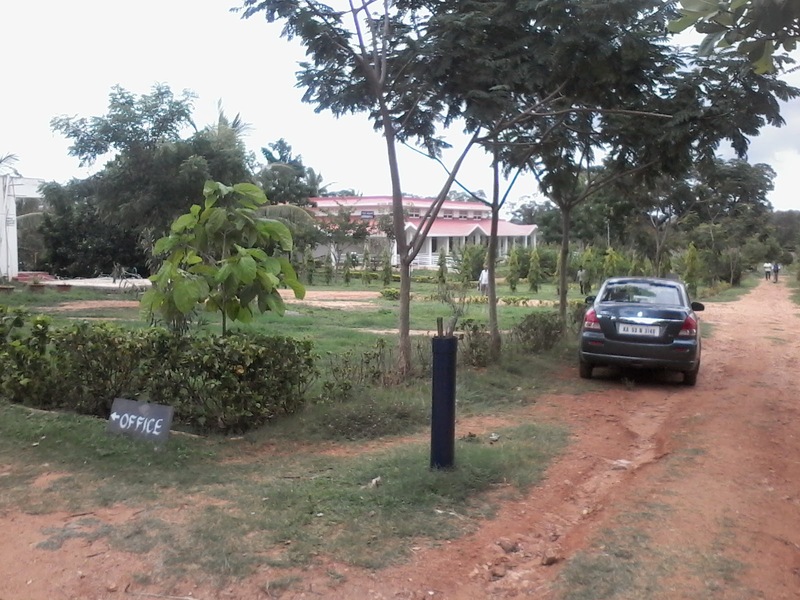 question – Why can’t a jail be more like an ashram – a spiritual retreat for prisoners? Soon, an experiment was conducted in which 96 inmates and 23 jail staff participated in a 10-day Vipassana meditation course conducted within the jail premises. It was a success and since then it has become a regular practice at Tihar. Moreover, it has been introduced in other prisons in India and abroad. What has meditation got to do with problem solving? A reason why a jail term may not reform a convict because the thought patterns which lead to a wrong-doing are stuck deep inside the mind. Similarly, we are not able to solve a problem because cobwebs of judgments / desire / fear prevent us from seeing the world as it is. The same tape of complaints and labelling is getting played again and again inside our heads most of the time. The only way out is to see clearly the futility of this wasteful involuntary compulsive thinking. All meditation approaches are intended to get one’s attention away from this compulsive thinking. Hence, meditative approaches are solver centric approaches. A practice like dialogue championed by people like David Bohm, Peter Senge and Edgar Schein is also an example of solver centric approach. In a dialogue, the emphasis is placed in clarifying one’s own assumption rather than judging others’ comments. Which is the best approach? 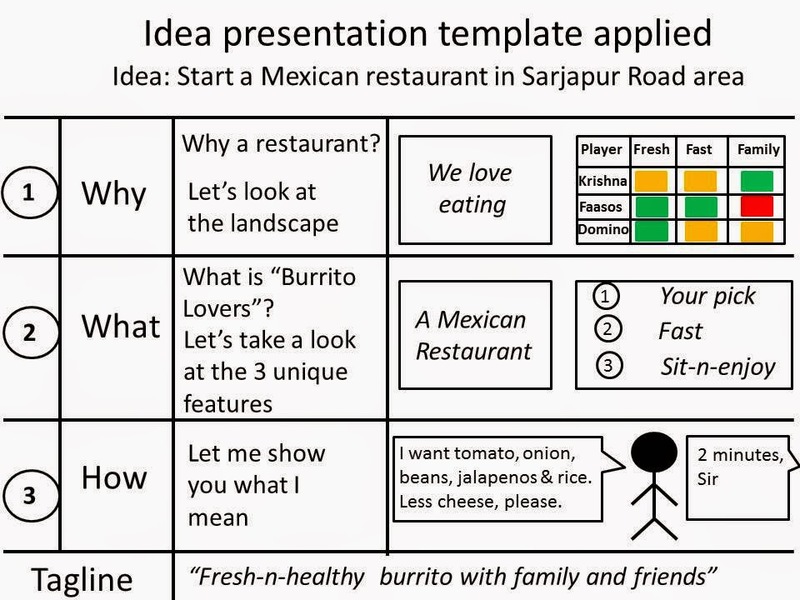 Of course, each approach is relevant in some context and you may need to combine them as well. However, I feel that as the social complexity of a problem increases, the role of solution and solver centric approaches increases. My limited experience of working with organizations over the past eight years tells me that solution and solver centric approaches are under emphasized and under-utilized. Hope to see more people using them in future.